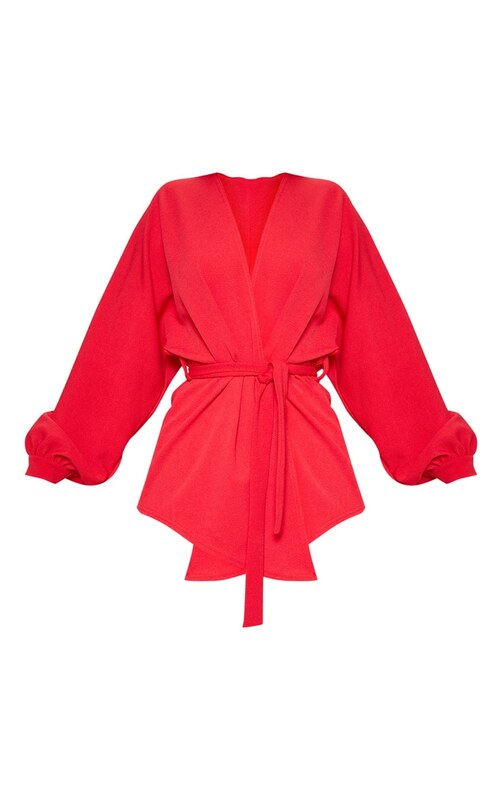 Get that boss girl look with this red blazer. 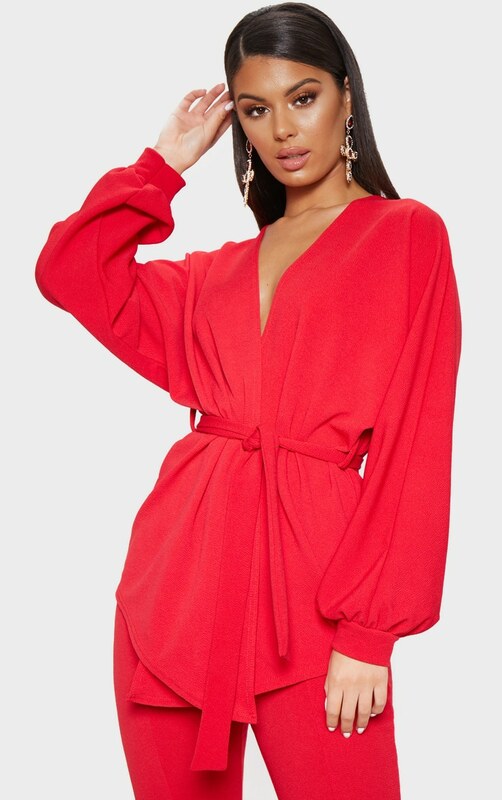 Featuring an oversized sleeve and belted design. 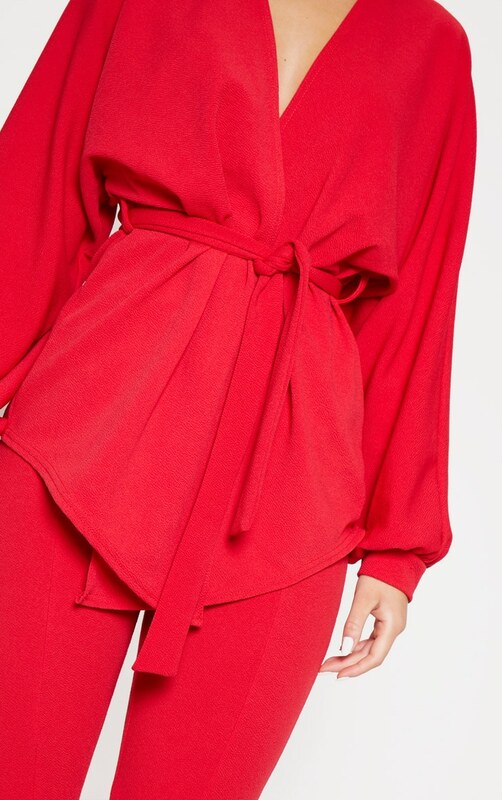 We love this teamed with red flares, gold heels and statement earrings for a fierce and feminine attire.